"The Sprout Hub concept is a simple idea that gives residents a place to call their own in the very beginning of a new housing development"
Relaxed seaside living meets sustainability innovation at Australia’s first 6 Star Green Star – Community, Alkimos Beach in Western Australia. Named after a merchant ship that ran aground of Perth’s northwest corridor in 1964, Alkimos Beach is a 224-hectare masterplanned community that will one day be home to 6,000 residents. As Perth’s north west corridor expands rapidly, Lendlease and LandCorp are building a community based on foundations of connectedness, economic opportunity and true sustainability. An idyllic location next to the ocean doesn’t always equate to a long commute each week. At Alkimos Beach, creating a community with local economic opportunities – one which fosters entrepreneurial endeavour – was a pivotal design motivation. Fibre-to-the-premises internet to every home has been installed to encourage teleworking, while WiFi will be provided in major public spaces to foster economic and social opportunities. All homes will be within 800 metres of both the regional town centre and transport links, with trains providing an environmentally-friendly path to work. The Sprout Hub is also fostering a sense of community and helping micro businesses get off the ground. The Hub has been established for three years to host community events, support local groups, businesses and not-for-profits. “The Sprout Hub concept is a simple idea that gives residents a place to call their own in the very beginning of a new housing development,” says the Hub’s Project Manager, Jasmyn Woodford. “You can’t beat Alkimos Beach’s sun, sand and clear skies, but the people are what really make it a special community to work in,” Jasmyn adds. Many sustainability initiatives helped Alkimos Beach win its coveted 6 Star Green Star rating – and the Australian-first community energy storage trail now underway is certainly among the most exciting. In a program funded part funded by the Australian Renewable Energy Agency, led by with Western Australian energy provider, Synergy and in partnership with Lendlease and LandCorp, more than 50 homes across the community are now connected virtually to an innovative 1.1MWh solar energy storage system. “It’s kind of the same as having your own battery on site but for $11 per month we get to have the benefit without the cost,” says resident Mike Gjestland. In addition to reducing peak demand locally, the trial is providing valuable insight into how renewable generation and energy storage can be integrated with traditional network infrastructure. Households participating in the trial are not the only ones to benefit from energy initiatives at Alkimos Beach. Solar panels and gas-boosted solar hot water systems are mandatory for all homes, while the capital cost to residents of energy-efficient appliances is offset by a range of financial incentive packages of up to $6,000. Together, these initiatives are expected to reduce home energy bills by up to 50 per cent. 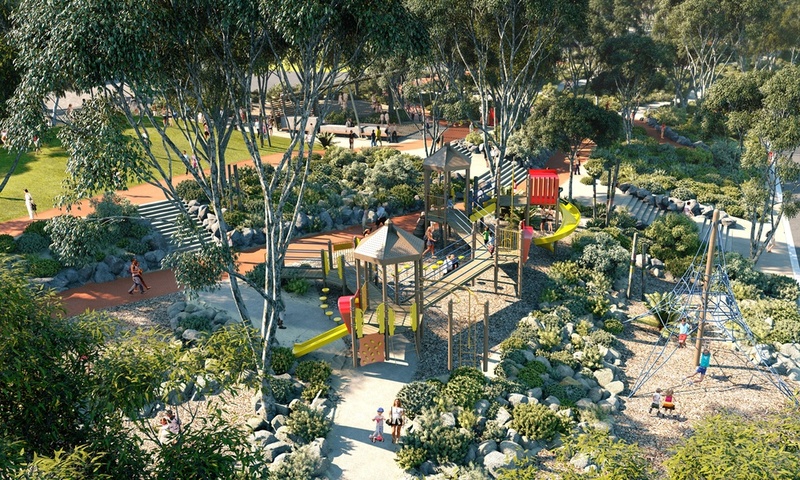 Alkimos Beach has been designed and built to promote active lifestyles. More than a third of Alkimos Beach will be reserved as open space – parks, playgrounds, sporting fields, environmental corridors, bushland and foreshore reserves. A wide range of recreational facilities are also planned, including kilometres of hike and bike trails connecting residents to their favourite places. In fact, none of the 2000 homes planned for the site will be located more than 200 metres from a park. The Alkimos Beach sports oval, netball courts and recreational areas will become the places where children can meet, make new friends, have fun and learn new skills. Lendlease is contributing $4,000 per lot to the City of Wanneroo to help build community facilities – including a $7 million surf lifesaving club and other facilities that promote healthy living. This is double the $2,000 stipulated in the Green Star credit. Beachside communities are increasingly subject to the impacts of climate change, with dune erosion and water pollution posing major threats to coastal ecology, residents and property. To mitigate these issues, smart water initiatives are planned throughout Alkimos Beach, including stormwater retention, bore water irrigation and the installation of water-efficient appliances in each home. Public spaces are designed to be water-smart, while afront yard landscaping package can help residents select drought-tolerant native species. In fact, the information and assistance provided to Alkimos Beach residents about how to reduce their environmental impact from the time they move in is building one of Australia’s most ecologically-aware communities. A comprehensive education program has been developed for the township, while a simple home user guide with energy, water and waste management tips is provided to each new home. 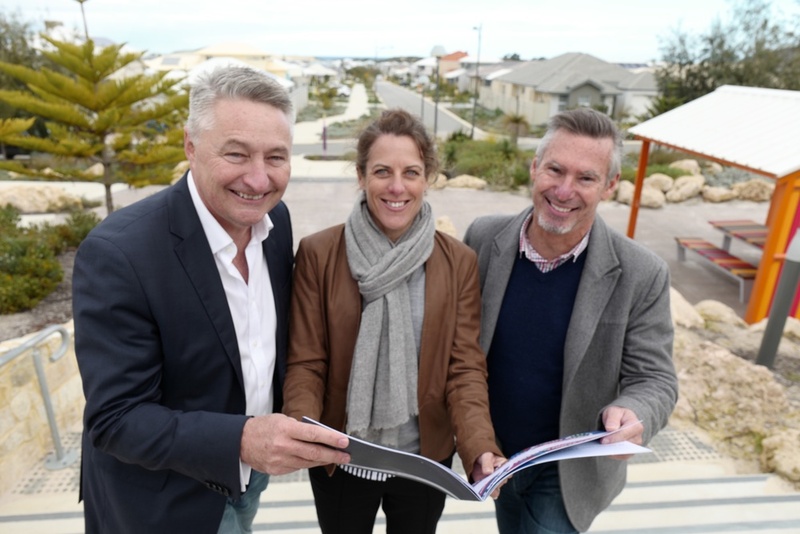 “Alkimos Beach’s 6 Star Green Star rating has set the bar for world leadership community development and demonstrates a long-term commitment by developers Lendlease and LandCorp to sustainability at scale,” says GBCA Chief Executive, Romilly Madew.